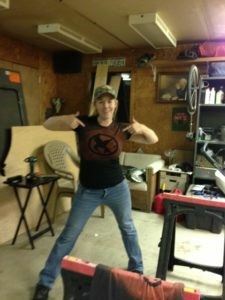 Here is a fun and super easy project…. 1) I printed off the Hunger Games symbol from a simple internet search, then used an exacto knife to cut it out. 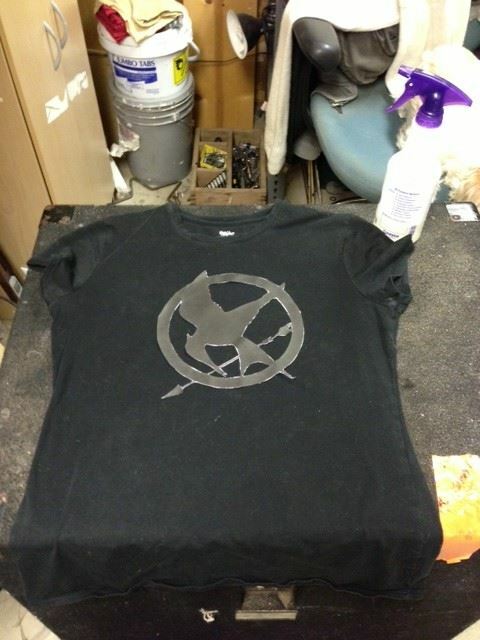 2) I grabbed a plain tee out of my closet and put the stencil where I wanted it. 3) Then, using a spray bottle, I sprayed it lightly with bleach and then lifted the stencil to get this! 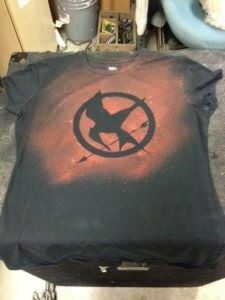 4) Let it dry then just enjoy your awesome tee. Of course, you can use this same concept with whatever design you want. The options are limitless so get creative!